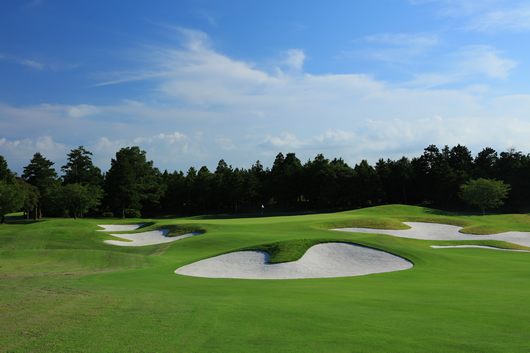 A straight par-4 where from the teeing ground it looks as though the green is surrounded by bunkers. The green looks large but is actually small, so you'll need to keep a cool head as you decide how to move toward your target. 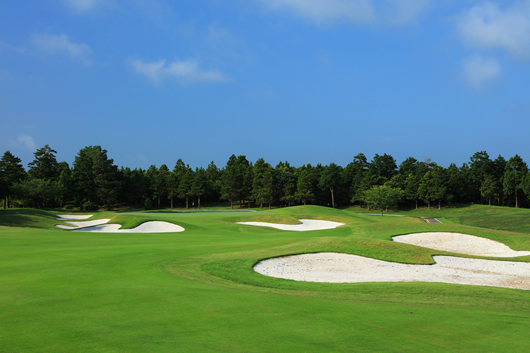 You should aim in the direction of the north bunker, which is situated just to the left of the center. 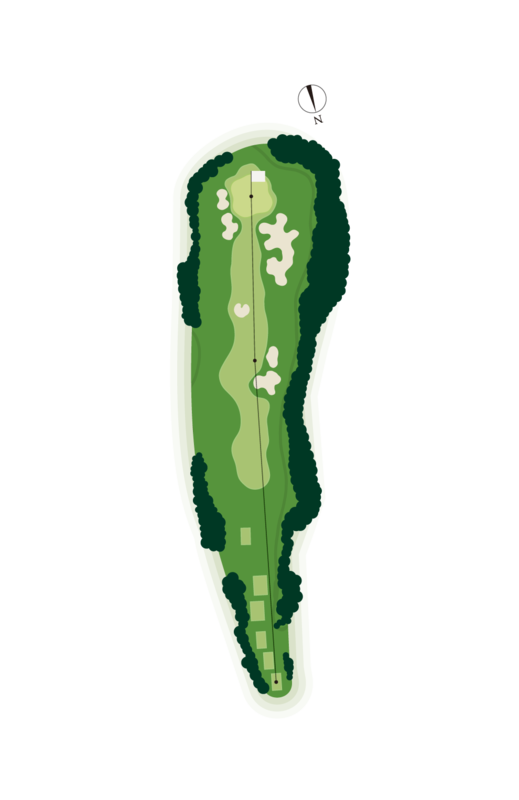 The part of the fairway where you will take your second shot from undulates heavily - to the extent that there are almost no flat areas.